What makes cohort studies so important? CLS Director, Professor Alissa Goodman and Principal Investigator of the 1970 British Cohort Study, Professor Alice Sullivan explain in an IOE London blogpost. Recent political events have focussed minds on society’s deeply rooted inequalities and their long-reaching consequences. 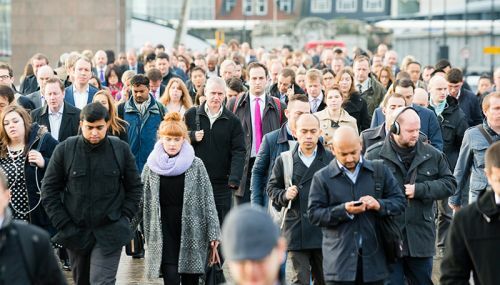 The gap between the rich and poor is growing as is the gap between generations – a recent IFS report found that people born in the 1980s had only half the wealth by their early 30s that the generation born ten years earlier had had at the same age. Social mobility is stagnant at best, causing concern across the political spectrum. Problems such as depression and obesity grow apace. How can we best understand and solve these social challenges? The answer lies in Britain’s unique tradition of longitudinal and cohort studies. At the Centre for Longitudinal Studies, funded by the Economic and Social Research Council (ESRC), and based at the UCL Institute of Education, we run studies based on samples of the population (cohorts) born in 1958, 1970, 1989, and 2000. Like a mass version of the television documentary series 7-up our studies follow participants from cradle to grave. Through them we understand the stories of generations as they grow, become adults and move into middle and older age. These studies allow us to understand the far-reaching consequences of childhood conditions for almost all facets of adult life, and how patterns of inequality and disadvantage are passed from one generation to the next. They’ve been pivotal in informing policies relating to life stages such as in childhood (on pregnancy, parenting, schooling), in adolescence (on risky behaviours, mental health, educational choices and attainment), in adulthood (on labour markets, lifelong learning, partnerships, and health), and in older age (work and health). Our findings often speak to the everyday, and personal: for example, showing the wider benefits of reading for pleasure in childhood, the origins of religious belief, and the benefits of physical activity in middle age. They also inform on some of the major policies of today, for example on grammar schools; obesity; and on mental health. The major funder of these studies, the ESRC, is undertaking a wide-ranging review of the longitudinal studies it invests in: the first stage of this is a public consultation, open until 4th November. Much has happened since the last ESRC review ten years ago, not least the burgeoning availability of new forms of data, for example from social media and administrative records collected by government departments and other organisations. It’s a good time to point out what makes cohort studies special. They are nationally representative samples. This means findings apply to society as a whole, but also allow us to assess the particular problems faced by certain groups, such as the poor and those who struggle with basic literacy and numeracy skills. They contain incredibly rich data on each cohort member. For each individual in our birth cohorts for example, we know about their family at birth and in early life. Did the mother smoke during pregnancy; what were her and the father’s qualifications; what was the family income; what sort of housing did they live in; was the child read to; did the child have any social, behavioural and medical problems? This allows us not just to link events to outcomes, but also to control for background factors when assessing whether these links might be causal, which is vital for making robust policy recommendations. By following the same people over time we can assess what may have led to problems in their lives. We know that childhood poverty can cast a long shadow across life, but also that parenting and school can make a big difference. By recording when people form partnerships and when they dissolve and re-form, we can show that having a partner is linked with better health. The information collected in the cohorts crosses multiple domains in people’s lives, and the teams studying them come from different disciplines, allowing us to make important connections, for example in our understanding of how cognitive development and emotional well-being in childhood are interlinked, or in the economic consequences of mental health problems. Our studies are increasingly collecting biological and social data side by side – enabling us to understand how social circumstances affect our biology, and vice-versa. We are eagerly awaiting new data on people in their mid-20s, from Next Steps, our cohort born in 1989: it could be that structural changes to the economy and housing market, in part stemming from the last recession, will have had dramatic effects on their lives. So, continued investment is vital. The value of the cohorts increases as we follow people into adulthood. Ahead exciting opportunities are opening up, to link a wider range of administrative records to the cohort surveys, and to invest in new forms of data collection alongside more traditional approaches. Now more than ever we need good data and evidence to illuminate the extent to which inequalities have riven our society and the policy measures needed to remedy them. Cohort and longitudinal studies are central to this challenge.